Scattered across the southeastern United States—and partly the world—my grandfather’s family came together a few times a year at his mother’s house. While Grandma’s house was on the family farm in Middle Georgia where my grandparents lived, her two daughters (my grandfather’s sisters) lived in Florida. Aunt Jenny had three sons who resided in Alabama. Aunt Grace had a son who served as a missionary in Taiwan. So it was something of an event to gather around Grandma’s old wooden slab table, in mismatched chairs and benches, and reconnect those lives that intersected so briefly. My crazy cousin Larry, first cousin to my mother, was a practical joker and scared me to death when he pretended to roll his eyes back in his head, showing only the whites and then laughing a maniacal, evil laugh. For years, I hardly spoke to him because I thought he was demented and he terrified me. 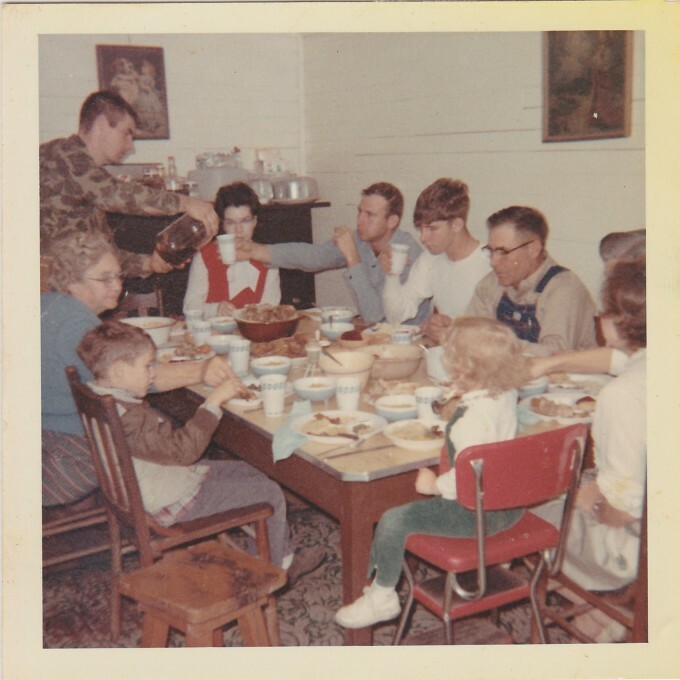 I hid behind my mother as they all shared laughter and stories each time we gathered in that old Southern kitchen. Aunt Jenny would sometimes make lasagna, the only time I ever had this foreign concoction. I don’t think I even tasted hers, opting instead for hamburgers or regular country folks’ food. Aunt Jenny’s lasagna, and my mother’s occasional foray into spaghetti were about as close as we ever got to Italian food. 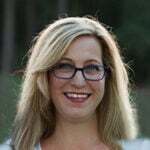 Once I moved to the big city, also known as a northern suburb of Atlanta, I became enchanted with all forms of Italian food. I was out job hunting one day and ran across a tiny pizza shop called Dante’s. A slice of pie at Dante’s instantly enlightened me of all that I had been missing in the world of pizza. From there, I experienced other Italian restaurants around Atlanta, some good and some not so good. And, I studied and learned to cook things on my own. 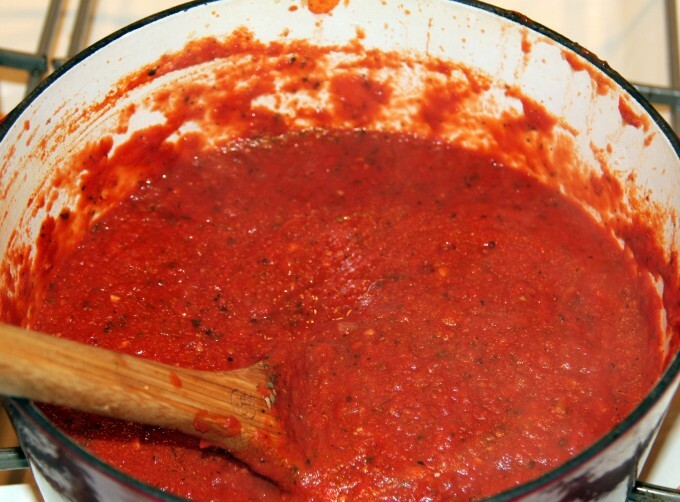 I used to make spaghetti sauce the way I had always known it, with a couple of cans of Hunt’s tomato sauce, some ground beef, maybe chopped onion and a few dried herbs. But I’ve grown to savor the taste of a simple marinara – crushed tomatoes, onion and garlic, fresh basil and a little red wine. It’s pure, fresh, and bursting with tomato flavor, the way a pasta sauce should be. Of course, for the men in my family, I have to add some meat, usually Italian sausage. But that’s ok. We are from the country after all. Heat olive oil in a large pot over medium heat. Add onion and stir for about a minute then add garlic. Turn heat to low and stir just until garlic and onion turn light but not brown. Add crushed tomatoes, wine, sugar and seasonings. Stir well and simmer about an hour. 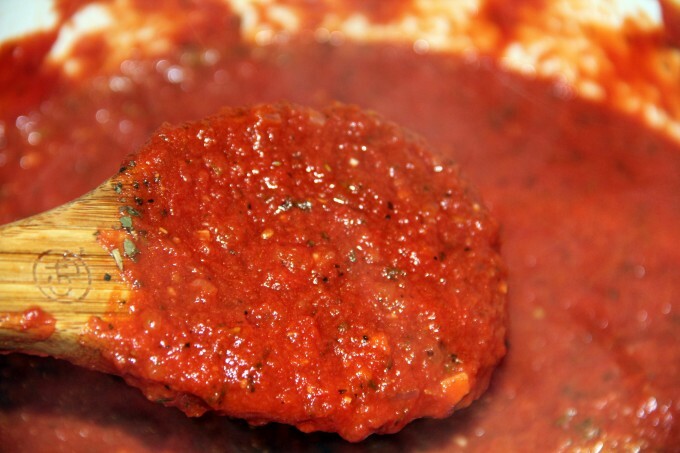 This sauce is wonderful over any type of pasta, meatballs or chicken for chicken parmesan. One batch usually makes enough for two meals — maybe one dinner of spaghetti and then a lasagna or baked ziti. Or you can freeze the leftovers and use another time. Either way, once you see how quickly this comes together and how authentic and fresh the taste, you will turn your nose up at store-bought marinara sauce. 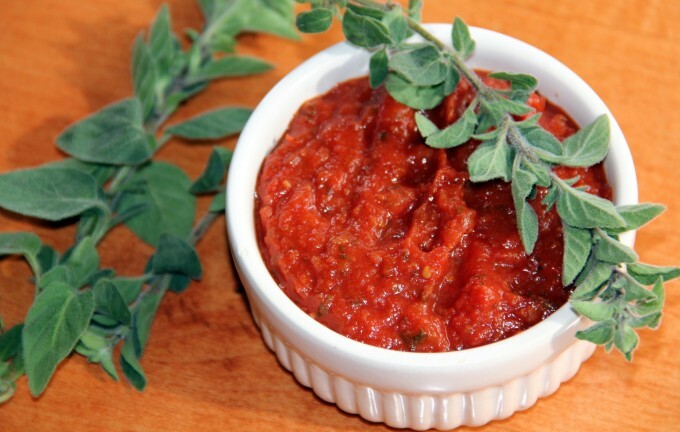 A simple Italian marinara sauce with crushed tomatoes and seasonings. It's great for pasta and quick enough for a week night. Add onion and stir for about a minute then add garlic. Turn heat to low and stir just until garlic and onion turn light but not brown. Add crushed tomatoes, wine, sugar and seasonings. Stir well and simmer about an hour. Try substituting half of the olive oil with unsalted butter. I agree I can’t stand store-bought! That looks awesome. I will probably make it and try to sub a tiny drop of local honey for the sugar. Thanks, I’m sure honey would work fine. It just adds a little balance to the acid of the tomatoes to avoid bitterness. And you should taste before you add either — you may find that you don’t need to add anything. Enjoy!